Float away on your own cloud as you inhale sweet, comforting scents. 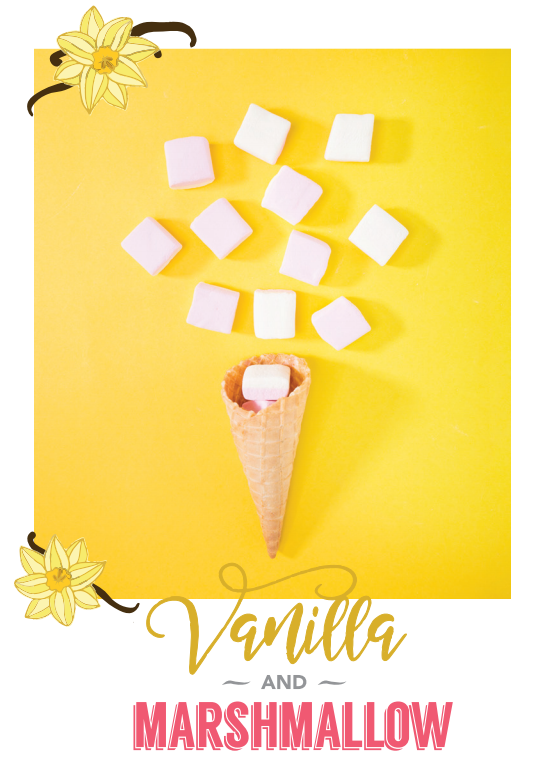 Rich, velvety mountains of vanilla meet fluffy clouds of blissful Marshmallow. Complimented by light notes of Coconut scent. First, a warm soak to relax and purify your hands. Our soak contains Sea Salt, Shea Butter, Jojoba Oil, Chamomile Flower Extracts and Fatty seed oils. This Vanilla Marshmallow Manicure is pure heaven! We will paint on a super hydrating (and yummy smelling!) mask containing Jojoba Oil, Almond Oil and Aloe Vera which are natural ingredients which replenish your skin on a cellular level. This Vitamin-Rich Mineral Clay Mask is infused with Shea Butter and Cacao Butter to soften with intense moisture. Peppermint Leaf stimulates circulation. This Vanilla Marshmallow Pedicure is pure heaven!